Last Sunday I drove forty-five minutes to see Twin 1 perform in a choir. I was happy to do it, and I’d happily do it again; rest assured few are those for whom I would ever thusly inconvenience myself. That evening I was settling into my chair with the paper when I got a text from my friend Owen: Still on for tonight? My stars, I’d forgotten that we had tickets to a show! I was exhausted, for Twin 2 had kept me awake half the previous night with various nonsense. And the club is in Allston, which, from where I live, it’s pretty much easier to get to New Hampshire. Plus: Sunday night. What follow, Gentle Reader, are musings on the show. 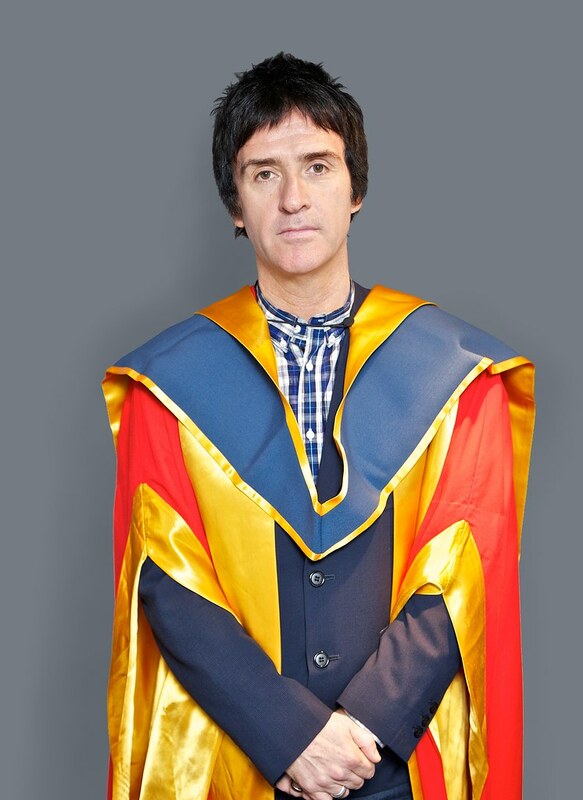 What keeps this teacher awake at night isn’t Common Core State Standards or 21st Century Skills or Educating the Whole Child or Social and Emotional Wellness or etc, it’s this: what am I doing to help the next Johnny Marr? He was an eccentric man who brought a big green parrot called Major to school with him every day. Major was a big talker and had a cage in the classroom, and every hour Mr. Quinlan would let him fly around the room, causing mayhem and landing on pupils’ heads. Eccentric man? Check. But I don’t have a parrot, dammit. I went to see a Bee Gees tribute band recently. Pardon? Did they play “Massachusetts”? Well yes, because we’re in… Ah! You were starting a joke. What’s with all the campfire acoustic girls and boys music played in every shop you go in ? Man up won’t ya ?you’re young #whosedog‘sdead? *** And here’s where it gets “meta,” as they say in hipster Brooklyn: the Smiths’ bassist was there. Andy Rourke – for it was he! – even took the stage to play “Bigmouth Strikes Again.”**** He was doing a DJ set afterward, but I went home [See: Hypnos, above]. **** Perhaps the Smiths song I like least. Stephen King’s instructional goal is a sterling standard for teachers and (scaled accordingly) songwriters. And while he and Noel Gallagher are two whose work I’ve regrettably stopped following (the former’s out of loss of habit, the latter’s due to disappointment), when I encounter an interview with either, I read it.